SOLD!! 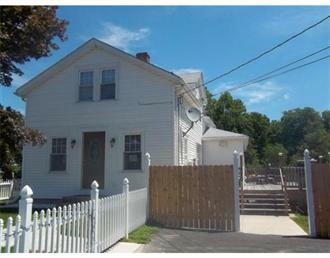 Beautifully Updated 4 bedroom 2.5 bath home in a convenient location! Amazing outdoor space with an oversized 33X19 deck perfect for grilling or relaxing, awesome saltwater pool, fenced-in yard great for privacy, and quality landscaping. The interior boasts upscale details throughout including hardwoods, a spacious master on the first level, new replacement windows, recess lighting, an updated kitchen with SS appliances and ample cabinet space, A PARTIALLY FINISHED LOWER LEVEL IDEAL FOR AN IN-LAW SUITE with a full bath and private entrance. Perfect commuter location—very close to the commuter rail, highways, and shopping. Sales Price: $245,000.